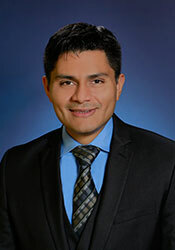 Dr. Torres has been practicing Obstetrics Medicine at Carson Medical Group for one year and has practiced for a total of 3 years since graduating from University of Reno, Nevada School of Medicine in 2014. His residency was at the University of Nevada School of Medicine in Las Vegas. Prior to joining Carson Medical Group’s practice, Dr. Torres dedicated his time mentoring college kids advising them on their medical direction. “My passion is education”, he says. “I want to see kids succeed by helping them acquire a great education”. Besides his strong belief in college education, Dr. Torres wants his patients to be educated as well when it comes to their individual health. “We are in this together, a partnership for good health.” “I want to empower my patients with knowledge of proper nutrition and exercise to prevent them from spiraling down an unhealthy path”. Outside of work, you can find Dr. Torres recreating in beautiful Carson City and surrounding areas. He loves to bike, hike and run and do all this with his wife and new baby.